There’s more to China’s scenery than just temples and The Great Wall. In this vast country, you’ll find some of the most breathtaking natural wonders! China is as mysterious as it is beautiful. It’s vastly different from the western world, and because of this, many facets of their culture are intriguing and eye-opening. With such a rich history filled with colorful events and personalities, China is definitely one of those countries you just have to visit while you still can. We know you have already heard about The Great Wall of China (which, by the way, isn’t visible from space). But China has a lot more to offer in terms of art, architecture, and natural beauty. Just take a look at these 28 breathtaking sights you can see there. No more getting stranded on vacation without any clean underwear. Losing your luggage while you’re traveling can really cramp your style in a major way. Imagine having no spare change of clothes while you wait for the airline to find wherever it was they shipped your bags off to. Air transport communication and information technology specialist, SITA reports there were 24.1 million lost and mishandled bags in 2014 alone. That’s 7.3 bags per 1,000 airline passengers! The couple is banned from climbing any mountain in Nepal for ten years. 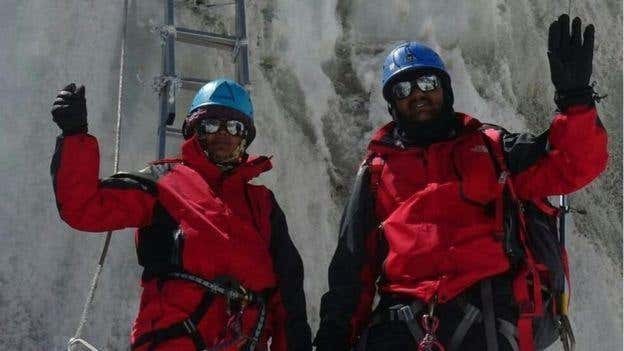 An Indian couple is banned from climbing any mountain in Nepal for ten years after they were found to have faked their Everest photos. Have you ever wanted to feel like a cast member of a sci-fi movie? How about wanting to feel like you're exploring an unknown alien landscape with no one else but your trusty sleeping pod? Andrea Zittel has just the thing for you.